This Mexican candy needs a little bit of translation. 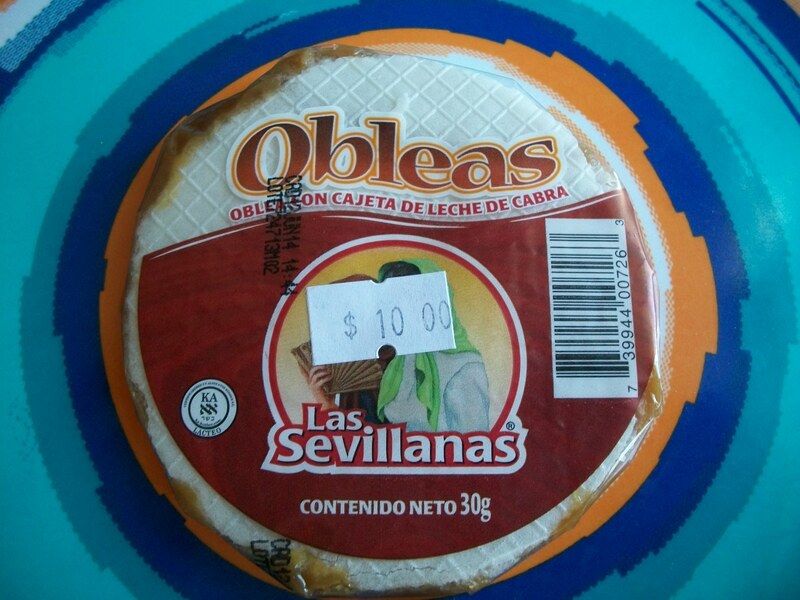 An oblea is a dessert featuring two thin circular wafers with fillings in between like dulce de leche, jam or even cheese. In addition to Mexico, they’re popular in El Salvador, Ecuador, Colombia, and Venezula. Cajeta is a caramelized condensed milk. In this case, de cabra or goat. So the full name translates to a wafer dessert with a goat’s milk caramel filling. 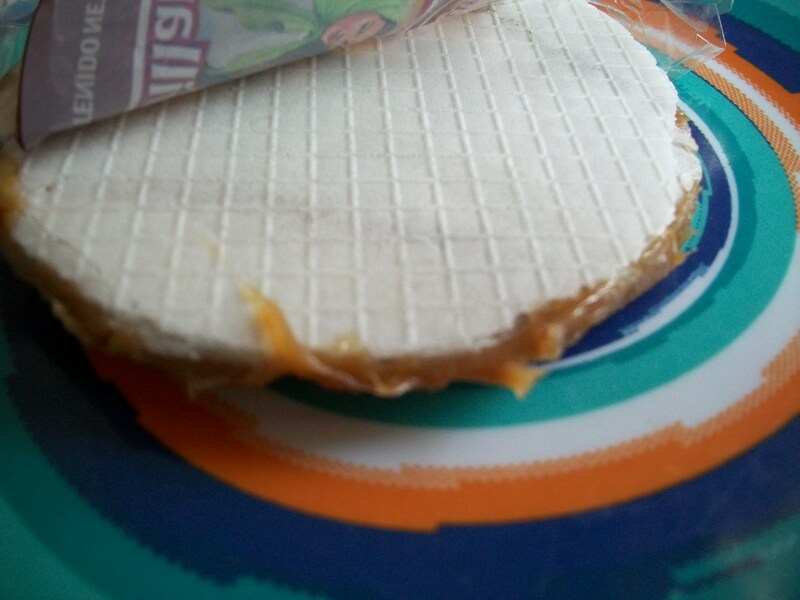 The wafers are ultra-thin and are relatively neutral tasting. They provide a texture contrast but not much else. The cajeta is very, very rich tasting. It’s like a caramel on steroids. It’s quite sweet. In fact, after a bite I was sweeted out. If the label didn’t indicate it, I’d have no idea that it was goat’s milk because it doesn’t taste much different than caramel derived from cow’s milk. I wouldn’t buy this candy again. This candy would mostly appeal to folks with a crazy sweet tooth or kids. This was purchased in the Cancun airport for 10 pesos or around $1. Side note: The company name Las Sevillanas is named after a type of folk dance native to the Seville part of Spain. This candy didn’t make me want to dance however. Have you tried this or similar candy before? Unfortunately, it’s not because the wafer is made with flour. Sorry, Giggles.